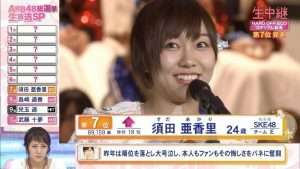 Here is a video, with English subtitles, of Maeda Atsuko’s surprise appearance after Takahashi Minami’s election speech. 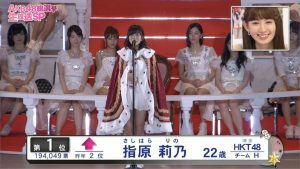 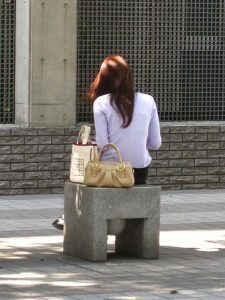 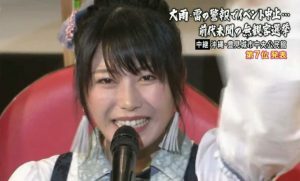 After the conclusion of Takamina’s election speech (having taken the #4 position), Maeda Atsuko appears from offstage for a surprise appearance. 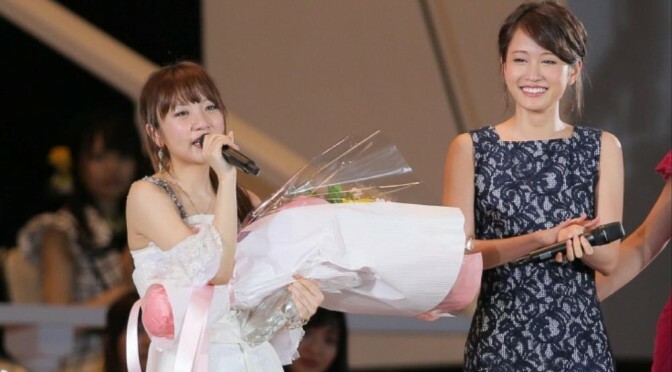 What follows is relatively short, but very heartfelt exchange, where Acchan thanks Takamina for her tireless efforts as the the 48 group’s General Manager. 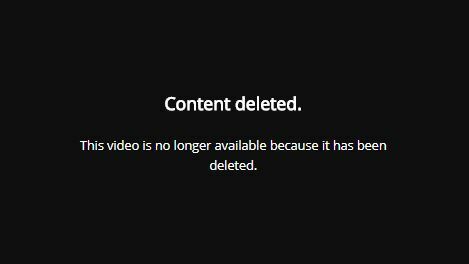 Yeah, sorry 🙁 I think someone else might have uploaded a copy somewhere; if I find it, I’ll update this page.